Real estate has been a constant store of value and is a staple of every institutional investment portfolio. Real property ownership, however, has many drawbacks including illiquidity, lack of diversification relative to geography, property type, and economic sector. Real Estate Investment Trusts solve many of these investment shortcomings; REITs are liquid, produce superior dividend yield, and provide access to diverse economic opportunities across 20 sectors on a global market scale. Throughout their history, REITs have substantially outperformed the S&P. At a 6.45% discount to NAV as of July 31, 2018, REITs are inexpensive relative to historical norms and to the value of their underlying real estate. Buying at a discount enhances cashflow yield which should translate to improved total returns. REITs aren’t just real estate; REITs are business. Over the past twenty years, REITs have evolved to provide capitalization and operational solutions in ever expanding sectors of the economy. 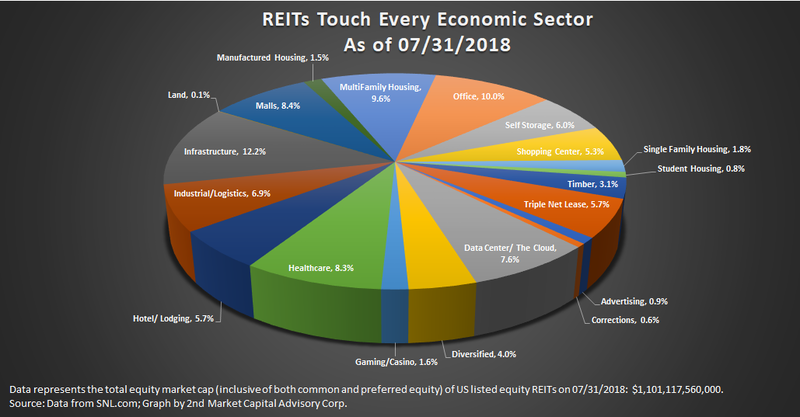 Across 20 unique property sectors, REITs have an investable common market capitalization of about $1.08 trillion. And because markets are inefficient, we are also often presented with the opportunity to arbitrage a higher yield and capital appreciation in the $25 Billion pool of REIT preferred shares. 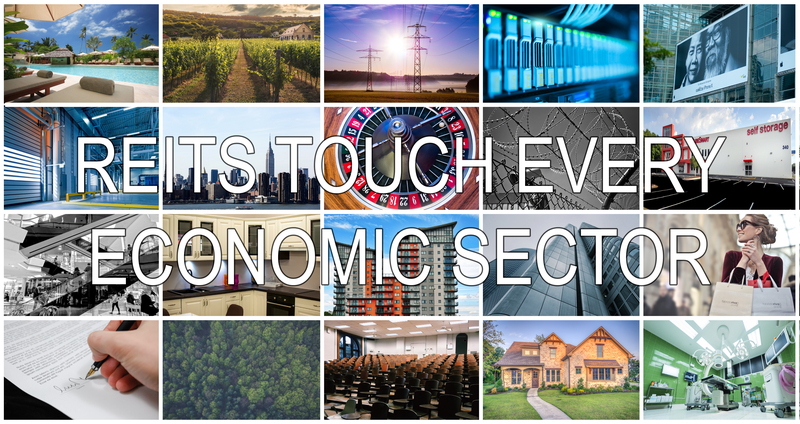 Since 1998, 2MC has been tirelessly in pursuit of the best opportunities across the exchange-traded REIT spectrum and has capitalized eleven funds investing primarily in REITs, generating strong returns for clients which we proudly make public here. Our exclusive focus on REITs enables us to be ready whenever opportunistic pricing arises. With a pre-existing knowledge of each REIT and relationships with REIT management teams, we have an advantage in knowing which REITs to buy and which to avoid. The MSCI US REIT Total Return Index (RMS) is a free float-adjusted market capitalization index that is comprised of equity REITs. The RMS represents about 99% of the US REIT universe and securities are classified in the Equity REITs Industry. The S&P 500 Total Return Index is an index based on the market capitalization of 500 large companies. Past Performance does not guarantee future results. Investing in publicly held securities is speculative and involves risk, including the possible loss of principal. Historical returns should not be used as the primary basis for investment decisions. This website and the content presented herein is not an offer to sell or a solicitation to buy securities or any other form of investment or product.